With Sport Relief 2018 commencing in a few days, staff at Russell Finex will once again continue the company tradition of going head-to-head in the name of charity. 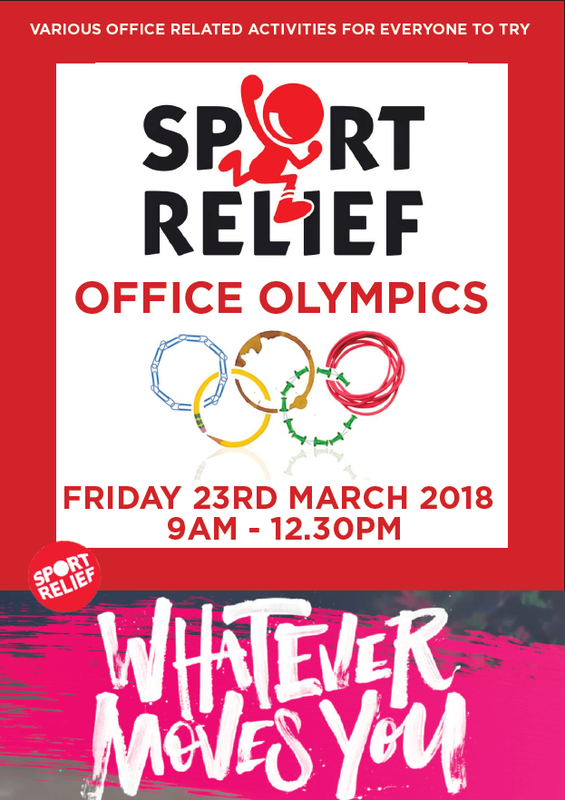 This year, participants will be put to the test through a series of comical Office Olympics events at the company’s UK headquarters, raising money for Sport Relief. Like 2017’s Red Nose Day, which saw team members participate in Olympic themed sport events, this year’s Sport Relief event will stir further competitiveness, providing healthy competition and team bonding. On the day there will be six teams, each of which will contain six members who all have the opportunity to participate in a solo, partnered and team game. All participants will be raising funds for Sport Relief in the lead-up to the event. The scores will be tallied after all the teams have completed their games, with the winning team being announced during the ‘Ready Steady Bake’ sale. Olympic medals will be awarded to the winning team, as well as the second and third placed teams. Russell Finex has set a healthy target of raising £2000 this year and welcomes donations of any size. Donations can be made via the Russell Finex Office Olympics Fundraising page. To stay up to date with how the teams are doing and to capture some of the action, live streaming of the event will be available from 9am - 1pm on Friday 23rd March. Please visit Russell Finex's YouTube page or the News and Events section of the Russell Finex website to access this on the day.